I’m a little late to the ‘new year, new you’ thing, but I started my January diet this week. It’s super effective and definitely curbs your appetite. But it does have several limitations – especially where physical mobility and pain are concerned. Have you heard of it? It’s the ever dreaded stomach bug. I don’t think I’ve been that violently ill since I was pregnant with my first child. Thankfully, the worst of my stomach woes occurred on Sunday and into Monday which everyone had off for Martin Luther King, Jr. Day. Did you know Monday was also National Banana Bread Day, National Museum Selfie Day, National Hugging Day, and last, but certainly not least, National Squirrel Appreciation Day? There was, clearly, A LOT to celebrate on Monday. I did do a lot of hugging on Monday…of the toilet, but if I had known it was National Squirrel Appreciation Day I would have wrote about that instead of my $60 Thrifted Dresser! Definitely a missed opportunity. On a side note, how does one show squirrel appreciation? I didn’t know what other holidays I was missing, so on Wednesday I forged ahead and wrote about visiting Niagara Falls during the cold, frozen winter. Spoiler alert: It WAS cold. We had fun. There is more than one falls. None of them were frozen when we visited. Here’s the Happy List, which is sort of like having a national holiday. If you’ve ever wondered if you could make money by renting your home out as a movie set, then read this blog post by Leslie at My 100 Year Old Home. It is super interesting! 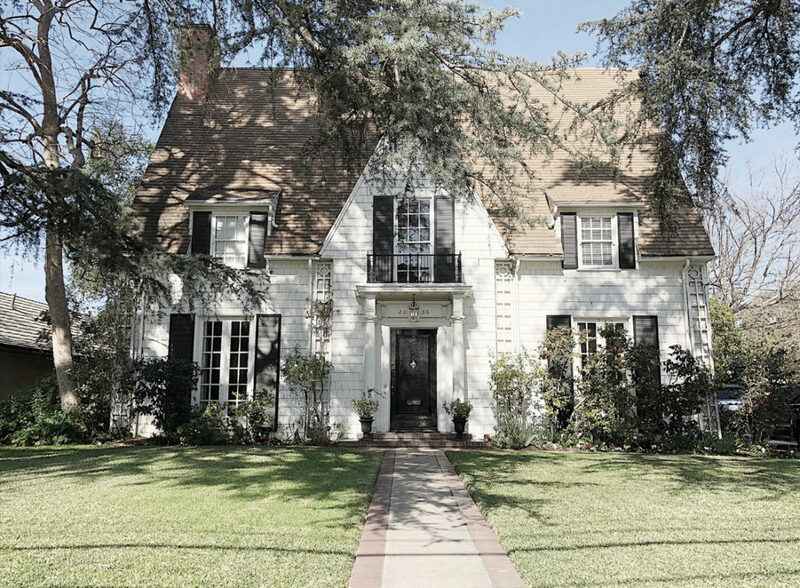 You may recognize some of the commercials and movies that have been filmed in her home. Once again, the power of paint and trim from Simply On Eden are on display. In honor of National Banana Bread Day, I do have a banana bread recipe that I really like. And that comes from a person who isn’t much into banana bread. I’m complicated like that. One time I even baked this banana bread in ramekins to help my daughter learn fractions. If mommy eats 1/6 of the banana bread, how much will be left? She really protects her banana bread knows her fractions now. The ‘bobbinator’ and the ‘cryhole’ did me in every time. 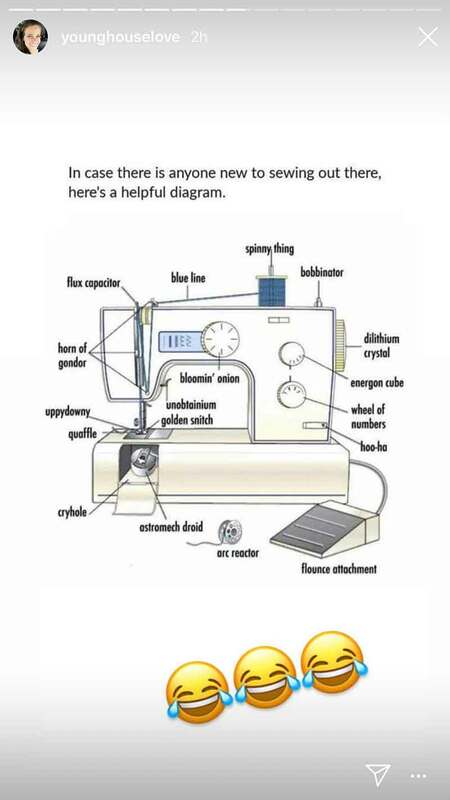 And that’s the true story of why I no longer have a sewing machine. I don’t know where this original diagram came from, but I grabbed this screen shot when I was watching Young House Love‘s Instagram stories last week. If you like bright, colorful pictures and don’t mind a heavy dose of Photoshop, @gaborestefan is my favorite new-to-me account on Instagram. It’s just pure, visual happiness. Also pure happiness? 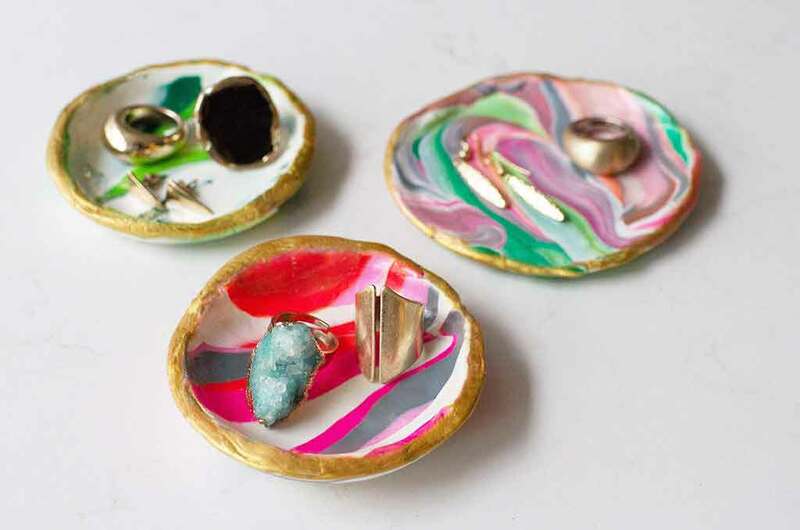 These DIY marbled clay dishes from Oh So Lovely! Aren’t they so fun? After I read the entire tutorial the process looks way easier than I thought it would be. These would make fun gifts or be a neat activity for a Galentine’s party. I love a good list. I love a good hot sauce. So I was a sucker for the recent article in Food and Wine that listed the 10 Most Popular Hot Sauces in America, According to Instacart. I don’t use Instacart, but I’m willing to go along with this data just like I’m willing to go along with National Squirrel Appreciation Day. 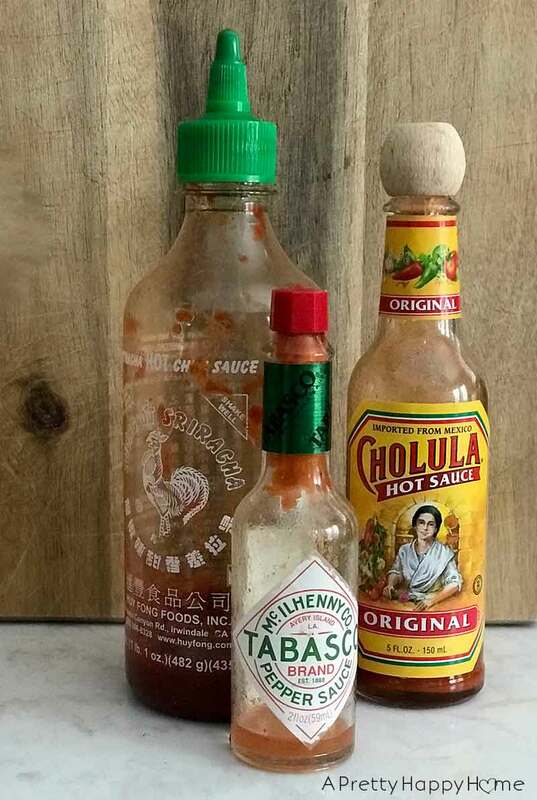 They rounded up their shoppers’ favorite hot sauces. I had three of the top ten sauces on their list in my refrigerator. Can you guess which one was #1? It was in my fridge! No need to point out that we are running dangerously low on these bottles of hot sauce. Handy Husband reminds me daily. Handy Husband will not be thrilled that I found this awesome tutorial on how to make a curved leg on a bench. But it’s SO COOL! Such a neat detail to add to a woodworking project. The tutorial is by Dorsey Designs and it looked super thorough to me! 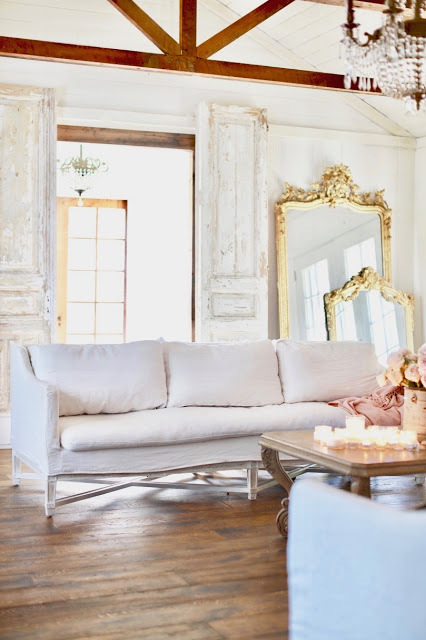 I loved the stacked mirrors in this picture and, well, everything else is gorgeous too. Be sure and check out the rest of this living space here.